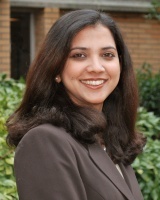 Dr. Neelam Azad joined the School of Pharmacy at Hampton University in August 2008 and was promoted to the rank of Associate Professor and the position of department Chairperson in 2014. Dr. Azad’s vision is to provide high quality education in pharmaceutical sciences and to maintain a vigorous biomedical sciences research program. As part of her scholarly duties, Dr. Azad coordinates and teaches Physiological Chemistry (PHA 311) and Medicinal Chemistry (PHA 314). Dr. Azad’s research interests are in the field of lung pathologies and cancer cell biology, and she has published extensively in a number of high-profile scientific journals. Dr. Azad has received multiple NIH-funded SCORE grant awards and a recently funded sub-award under Hampton University’s U54 grant award. She serves as co-investigator on a training (R25) grant aimed at establishing a multi-year summer research-training program for pharmacy professional students in areas pertaining to lung pathologies. Title: The Summer Pharmacy Experiences in Academic Research program at Hampton University. Fibrosis – Genetic and molecular networks involved in pulmonary fibrosis. Cancer – Molecular mechanisms involved in cancer progression and metastasis. Apoptosis – Effect of environmental and occupational carcinogens on apoptosis. Free Radical Biology – Oxidative and nitrosative stress in cancer and fibrosis. 2. Kaushik V., Yakisich J.S., Azad N., Iyer A.K.V. Alternative Models of Cancer Stem Cells: Implications for Translational Oncology. Frontiers in Stem Cell and Regenerative Medicine Research (2017), Volume 8, 1-54. 4. Guishard A.F., Yakisich J.S., Azad N., Iyer A.K. Translational gap in ongoing clinical trials for glioma. Journal of Clinical Neuroscience (2017), S0967-5868(17), 31048-31052. 5. Azad N., Anderson H.G. Jr., Brooks A., Garza O., O'Neil C., Stutz M.M., Sobotka J.L. Leadership and Management Are One and the Same. The American Journal of Pharmaceutical Education (2017), 81(6):102. 6. Kulkarni Y.M., Yakisich J.S., Azad N., Venkatadri R., Kaushik V., O'Doherty G., Iyer A.K.V. Anti-tumorigenic effects of a novel digitoxin derivative on both estrogen receptor-positive and triple-negative breast cancer cells. Tumour Biology (2017), 39(6). 7. Venkatadri R., Iyer A.K.V., Kaushik V., Azad N. A novel resveratrol-salinomycin combination sensitizes ER-positive breast cancer cells to apoptosis. Pharmacological Reports (2017), 69(4):788-797. 9. Yakisich J.S., Azad N., Kaushik V., O'Doherty G.A., Iyer A.K. Nigericin decreases the viability of multidrug-resistant cancer cells and lung tumorspheres and potentiates the effects of cardiac glycosides. Tumour Biology (2017), 9(3). 12. Yakisich J.S., Azad N., Kaushik V., Iyer A.K.V. Cancer Cell Plasticity: Rapid Reversal of Chemosensitivity and Expression of Stemness Markers in Lung and Breast Cancer Tumorspheres. Journal of Cellular Physiology (2017), 232(9):2280-2286. 13. Kaushik V., Yakisich J.S, Azad N., Kulkarni Y., Venkatadri R., Wright C., Rojanasakul Y., Iyer A.K.V. Anti-Tumor Effects of Cardiac Glycosides on Human Lung Cancer Cells and Lung Tumorspheres. Journal of Cellular Physiology (2017), 232(9):2497-2507. 14. Venkatadri R., Iyer A.K., Ramesh V., Wright C., Castro C.A., Yakisich J.S., Azad N. MnTBAP Inhibits Bleomycin-Induced Pulmonary Fibrosis by Regulating VEGF and Wnt Signaling. Journal of Cellular Physiology (2017), 232(3):506-516. 15. Yakisich J.S., Venkatadri R., Azad N., Iyer A.K.V. Chemoresistance of Lung and Breast Cancer Cells Growing Under Prolonged Periods of Serum Starvation. Journal of Cellular Physiology (2017), 232(8):2033-2043. doi: 10.1002/jcp.25514. Epub 2017 Feb 28. 16. Wright C. A., Iyer A.K.V, Wang L., Wu N., Yakisich J.S., Rojanasakul Y., Azad N.. Effects of titanium dioxide nanoparticles on human keratinocytes. Drug Chem Toxicol. (2016), 16, 1-11. 18. Klionsky D.J., Azad N. et al. Guidelines for the use and interpretation of assays for monitoring autophagy (3rd edition). Autophagy (2016), 12 (1): 1-222. 19. Yakisich J.S., Azad N., Venkatadri R., Kulkarni Y., Wright C., Kaushik V., O’Doherty G., Iyer A.K.V. Digitoxin and its Synthetic Analog MonoD have Potent Antiproliferative Effects on Lung Cancer Cells and Potentiate the Effects of Hydroxyurea and Paclitaxel. Oncology Reports (2016), 35(2), 878-86. 20. Wright C. A., Kulkarni Y. M., Iyer A.K.V, Azad N.. S-nitrosylation of Bcl-2 Negatively Affects Autophagy in Lung Epithelial Cells. Journal of Cellular Biochemistry (2016), 117(2), 521-32. 22. Kulkarni Y. M., Dutta S., Iyer A.K.V, Venkatadri R., Kaushik V., Ramesh V., Wright C. A., Semmes O.J., Yakisich J.S., Azad N.. A Proteomics Approach to Identifying Key Protein Targets Involved in VEGF-Inhibitor Mediated Attenuation of Bleomycin-Induced Pulmonary Fibrosis. Proteomics (2016), 16(1), 33-46. 23. Iyer A.K.V, Ramesh V., Castro C.A., Kaushik V., Kulkarni Y. M., Wright C. A., Venkatadri R., Rojanasakul Y., Azad N.. Nitric Oxide Mediates Bleomycin-Induced Angiogenesis and Pulmonary Fibrosis via Regulation of VEGF. Journal of Cellular Biochemistry (2015), 116(11), 2484-93. 25. Talbott S.J., Luanpitpong S., Stehlik C., Azad N., Iyer A.K.V., Wang L., Rojanasakul Y. S-Nitrosylation Of FLICE Inhibitory Protein Determines Its Interaction With RIP1 And Activation Of NF-Κb. Cell Cycle (2014), 13(12), 948-957. 26. Iyer, A.K.V, Azad N., Rojanasakul, Y. Nitrosothiol Signaling and Protein Nitrosation in Cell Death and Survival. Nitric Oxide Biology and Chemistry (2014), 42C, 9-18. 27. Azad N., Iyer A. K. V. Reactive Oxygen Species and Apoptosis. Systems Biology of Free Radicals and Antioxidants (2014), 113-135. 28. Azad N., Iyer A.K.V., Lu Y., Wang L., Rojanasakul Y. P38/MAPK Regulates Single-walled Carbon Nanotube-Induced Fibroblast Proliferation and Collagen Production. Nanotoxicology (2013),7(2), 157–168. 29. Luanpitpong S., Iyer A.K.V., Azad N., Wang L., Rojanasakul Y. Nitrosothiol Signaling in Anoikis Resistance and Cancer Metastasis. Forum on Immunopathological Diseases and Therapeutics (2012),3(2), 141–154. 30. Djordje M., Luanpitpong S., Azad N., Wang L., Jiang B. H., Davis M., Barnett J., Guo L., Rojanasakul Y. Multifunctional Role of Bcl-2 in Malignant Transformation and Tumorigenesis of Cr(VI)-Transformed Lung Cells. PLoS ONE (2012), 7(5), e37045. 31. Iyer, A.K.V, Azad N., Rojanasakul Y, Ma J.K.H. Application of Nanosciences in Pharmaceutics. Basic Physical Pharmacy (2012), 486-516. 32. Iyer A.K.V., Azad N., Wang L., and Rojanasakul Y. Cellular FLICE-Inhibitory Protein Regulates Fas-Ligand Induced Activation of NFκB in A PI3K-Dependent Manner. Journal of Immunology (2011), 187(6), 3256-66. 33. Iyer A.K.V., Zhou M., Azad N., Elbaz, H., Wang H., Rogalsky D., Rojanasakul Y., O’Doherty G. and Langenhan J. A Direct Comparison of the Anticancer Activities of Digitoxin MeON-Neoglycosides and O-Glycosides: Oligosaccharide Chain Length Dependant Induction of Caspase-9-Mediated Apoptosis. American Chemical Society Medicinal Chemistry Letters (2010), 1(7), 300-369. 34. Azad N., Iyer A.K.V., Wang L., Lu Y., Medan D., Castranova V., Rojanasakul Y. Nitric Oxide-Mediated Bcl-2 Stabilization Potentiates Malignant Transformation of Human Lung Epithelial Cells. American Journal of Respiratory Cellular and Molecular Biology (2010), 42 (5), 578-585. 35. Azad N., Lu Y., Wang L., Iyer A.K.V., Castranova V., Jiang B.H., Rojanasakul Y. Phosphatidylinositol-3-Kinase/Akt Regulates Bleomycin-Induced Fibroblast Proliferation and Collagen Production. American Journal of Respiratory Cellular and Molecular Biology (2010), 42 (4), 432-441. 36. Azad N., Iyer A.K.V., Vallyathan V., Wang L., Castranova V., Stehlik C., Rojanasakul Y. Role of Oxidative/Nitrosative Stress-Mediated Bcl-2 Regulation in Apoptosis and Malignant Transformation. Annals of The New York Academy of Sciences (2010), 1203, 1-6. 37. Iyer, A.K.V, Azad N., Rojanasakul, Y. S-nitrosylation – How Cancer Cells Say NO to Cell Death. Nitric Oxide Biology and Chemistry, Prognosis, Prevention and Therapy (2010), Part 3, 4-102. 38. Azad N., Iyer A. K. V., Rojanasakul Y. Methods to Analyze S-nitrosylation of Proteins Involved in Apoptosis. Methods in Molecular Biology (2009), 559, 117-130. 39. Azad N., Iyer A.K.V., Manosroi A., Wang L., Rojanasakul Y. Superoxide-Mediated Proteasomal Degradation of Bcl-2 Determines Cell Susceptibility to Cr(VI)-Induced Apoptosis. Carcinogenesis (2008), 29(8), 1538-1545. 40. Iyer, A.K.V, Azad N., Rojanasakul, Y. Role of S-nitrosylation in Apoptosis Resistance and Malignant Transformation. Nitric Oxide Biology and Chemistry (2008), 19(2), 146-151. 41. Kongkaneramit L., Sarisuta N., Azad N., Lu Y., Iyer A.K.V., Wang L., Rojanasakul Y. Dependence of Reactive Oxygen Species and FLIP on Lipofectamine-Induced Apoptosis in Human Lung Epithelial Cells. Journal of Pharmacology and Experimental Therapeutics (2008), 325(3), 969-977. 42. Wang L., Azad N., Kongkaneramit L., Chen F., Lu Y., Jiang B.H., Rojanasakul Y. The Fas Death Signaling Pathway Connecting Reactive Oxygen Species Generation and FLICE Inhibitory Protein Downregulation. Journal of Immunology (2008), 180(5), 3072-3080. 43. Azad N., Rojanasakul, Y. and Vallyathan, V. Inflammation and Lung Cancer: Roles of Reactive Oxygen/Nitrogen Species. Journal of Toxicology and Environmental Health, Part B (2008), 11(1), 1-15. 44. Azad N., Iyer A. K. V., Rojanasakul Y. DNA Microarrays in Drug Discovery and Development. Biopharmaceutical Drug Design and Development (2007), 2nd Edition, 47-66. 45. Azad N., Rojanasakul Y. Macromolecular Drug Delivery. Biopharmaceutical Drug Design and Development (2007), 2nd Edition, 293-324. 46. Moungjaroen J., Nimmannit U., Callery P.S., Wang L., Azad N., Lipipun V., Chanvorachote P., Rojanasakul Y. Reactive Oxygen Species Mediate Caspase Activation and Apoptosis Induced by Lipoic Acid in Human Lung Epithelial Cancer Cells through Bcl-2 Downregulation. Journal of Pharmacology and Experimental Therapeutics (2006), 319(3), 1062-1069. 47. Azad N., Vallyathan V., Wang L., Tantishaiyakul V., Stehlik C., Leonard S.S., Rojanasakul Y. S-nitrosylation of Bcl-2 inhibits its ubiquitin-proteasomal degradation: A novel anti-apoptotic mechanism that suppresses apoptosis. The Journal of Biological Chemistry (2006), 281(45), 34124-34134. 48. Azad N., Rojanasakul Y. Nanobiotechnology in Drug Delivery. American Journal of Drug Delivery (2006), 4(2), 79-88. 49. Azad N., Rojanasakul Y. Vaccine Delivery - Current Trends and Future. Current Drug Delivery (2006), 3(2), 137-146. 50. Chanvorachote P., Nimmannit U., Wang L., Stehlik C., Lu B., Azad N., Rojanasakul Y. Nitric Oxide Negatively Regulates Fas CD95-induced Apoptosis through Inhibition of Ubiquitin-Proteasome mediated Degradation of FLICE Inhibitory Protein. The Journal of Biological Chemistry (2005), 280(51), 42044–42050.